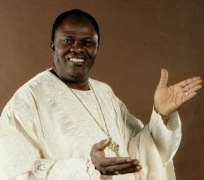 I read with interest the recent tirade of Catholic Archbishop of Lagos, Anthony Okogie against the late Benson Idahosa and his Pentecostal brethren. Okogie did not mince words in his blunt appraisal of the late archbishop, equating his charismatic 'prosperity-preaching' to plain deception of the gullible and susceptible in the name of Christianity. “Idahosa used to say 'if your Jesus is poor, my Jesus is rich.' People like Idahosa don't think about suffering but how to live the best. They used the gospel to deceive the people, and we have people following him,” he said during the commissioning of newly trained Catholic Evangelisers of the Antioch School of Evangelisation at Holy Family Catholic Church, Festac Town, Lagos (See Sunday Champion - 19th July 2009). The accusations are strong - misinterpretation of the Bible and subsequent deception of the masses with erroneous doctrine, preached more for the intention of personal gain and fame, with little consideration for the people's physical and spiritual welfare. And this is in reference to the man collectively considered the mentor of the Pentecostal 'giants' today – the likes of Adeboye, Oyedepo, Oritsejafor, Okonkwo, Okotie and Adefarasin inclusive. Although strongly opinionated, the points made display distressing proximity to reality. Many ministers of God in Nigeria seem to have drifted from their divine duty and distorted their actual assignment – being the hands and feet of Jesus to the lost and broken hearted. Kingdom business has been reduced to worldly commerce; the pulpit of peace has turned to a podium of dissension. I recall that Idahosa himself was the instigator of various crusades in Tafewa Balewa Square, Lagos, where thousands of Nigerians unanimously prayed for the destruction of Pastor T.B. Joshua and dissolution of his 'Synagogue of Satan.' The prayers appear to have had an opposite effect with the increasing repute and worldwide demand for Joshua and his ministry. However, it would be foolish to underestimate the power of religion as a potential catalyst of positive change in Nigeria. I mean, our pastors are almost akin to English footballers in terms of acclaim and esteem. They wield such stupendous authority in the socio-economic sphere that one was recently voted Nigeria's 'Greatest living legend' notwithstanding the fact that he regularly socializes with an ex-president embroiled in allegations of corruption and a governor enmeshed in accusations of diabolic practices. Nigeria can lay claim to the world's largest church auditorium, the biggest gathering of Christians in a single event and the designation of the 'most religious nation', yet we are among the most mismanaged, corrupt and poverty-stricken people on earth. Can this be considered a mere irony, or indicative of our pastor's abuse of privilege and promise? Can such change come when clerics continue to drift from their divine cause and course for the sake of temporal treasures and pleasures? It is time the Pentecostal Church realised that the verification of a fruitful ministry stands not in the number of people who attend your crusades, the number of branches your church has or the worldly belongings you possess – but rather the problems you have solved, the needs you have met and the lives you have improved. We are called to live a life of investment, not expenditure. All the resources within and around must be passionately channelled towards these charitable purposes. Just consider how many despondent students could receive quality education if church-tithes were used for scholarship schemes? Consider how many beggars could be taken off the street if church offerings were translated to capital for job creation? Consider how much joy could be restored to the hopeless and homeless if church members were taught to spend more on others and less on themselves, and their pastors led by such example? If frustrated youths were encouraged instead of used and misled – imagine the reduction in street crime, prostitution and cultist activities on campuses? If Christians chose to show love beyond tribe and faith, imagine the diminution in religious and ethnic tension. If blind condemnation was replaced by constructive criticism, imagine the lessons that would be learned instead of pointless battles fought. This, coupled with spiritual guidance, godly principles and practical compassion, has the potential of producing change in the Nigerian atmosphere and attitude. Truly - we make a living by what we get; we make a life by what we give.